With all of the changes happening with Instagram and Liketoknow.it I am definitely going to be sharing all of the links to things I post on Instagram here on my blog. I think overall shopping from my blog is now easier since you guys don't et the emails anymore. But it is hard for me to keep up with blog posts. So at a minimum I am definitely going to be sharing a Instagram roundup twice a month. That way the links will be here if you don't have or don't like using the Liketoknow.it app. Also, I just want to remind you guys that you can always come to my blog and scroll all the way to the bottom. Them click on the picture you are interested in and all of the links will show up and you can just shop them right there. I am going to work on adding the links to things here on the right sidebar under shop with Jade. Ideally I would like to add them there every time I post something on Instagram but that isn't realistic for me right now. So I am going to at least try to add them twice a week. That was everything is right on the home page and super easy to just click on the exact product. Hopefully this will make things way easier for you guys because I hav gotten a lot of feedback since the emails have stopped that you guys don't have or want the Liketoknow.it app. Congrats Shannon Sendell you are the winner of the $100 gift card to the store of your choice. And now fort a quick giveaway. I really love doing these for you guys as a way of thanking you for following me. So today I am giving away a $100 gift card to the store of your choice. It is super simple to enter all you have to do is leave a comment on this blogpost with your email and telling me your favorite store to shop at. Thats it! I will randomly choose a winner and I will contact the winner by email. I will email you a e gift card to the store of your choice. The giveaway will go for two days. So I will pick and announce the winner on Thursday here and on my story and I will send out an email. Good luck and thanks for following along. 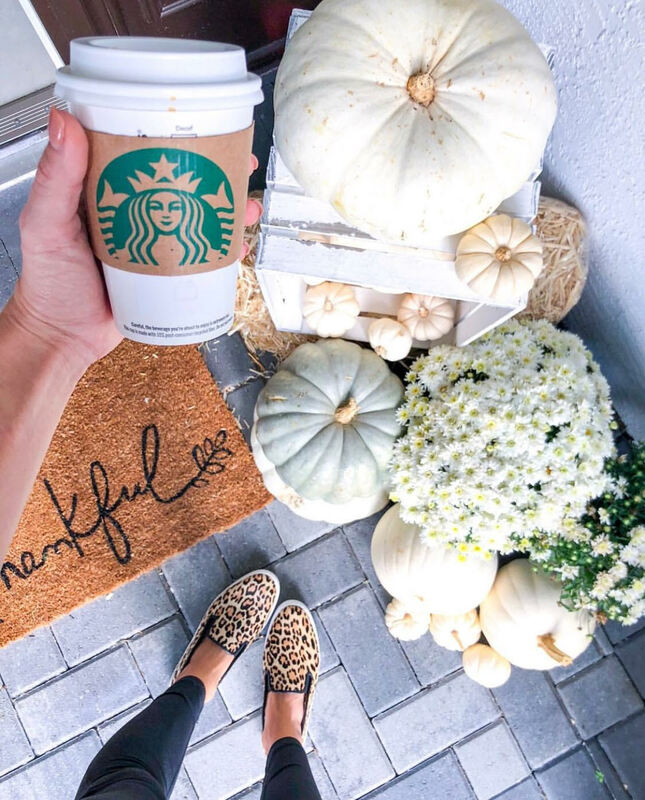 I’m loving all the fall inspo your sharing! My Nordstrom cart has a bunch of stuff you’ve shared :) I love how convenient and easy Nordstrom is to shop at! It’s my go to! I love shopping at Nordstrom. I feel they are about the customer. They have great return policies and care about you as a customer. My email is @jkallen1976@gmail.com. You’re my favorite blogger to follow Jade! My favorite store to shop at is Nordstrom. I used to think I was bias to it because I worked there years back but now as a mom of two with another on the way it’s by far the easiest one stop shop with everything we need. It’s our go to! Target for sure especially now with all their cute fall stuff out!!! I love Nordstrom and they just recently opened a Nordstrom Rack by me which is amazing. Loft has stepped up its game also in the recent seasons!! My email is tbrennan4@hotmail.com. Happy october! 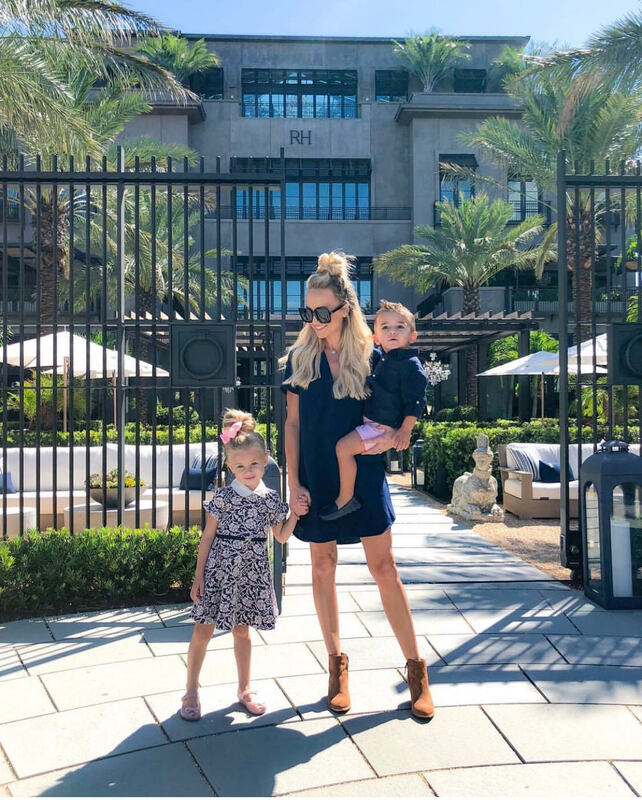 I love following along with you and your family - You all are the cutest! My favorite store to shop is Nordstrom and my email is lindsey@peapodandnate.com. My favorite store to shop at is Nordstrom! Love following your blog Jade! Keep it up! My absolute favortie store is Nordstrom! Happy fall! mkelley9@mail.usf.edu - and I love nordstrum!! Paige.miranda1@gmail.com If I had to pick one store it would be Target! Things for me, kids, hubby, and home. It’s my fave! My favorite would be a toss up between Nordstrom and Jcrew. Loving all your camo and leopard! Right now my favorite store is Target, it’s just have everything I need! If I had to pick one store, it would be Nordstrom! I would love to shop at Nordstrom so that I can shop your exact looks, but if I’m being honest I probably shop at target most ��. So, my favorite it Target! I love to shop at Nordstrom, Ralph Lauren for my 6 years old son . Urban Outfitters is my favorite! 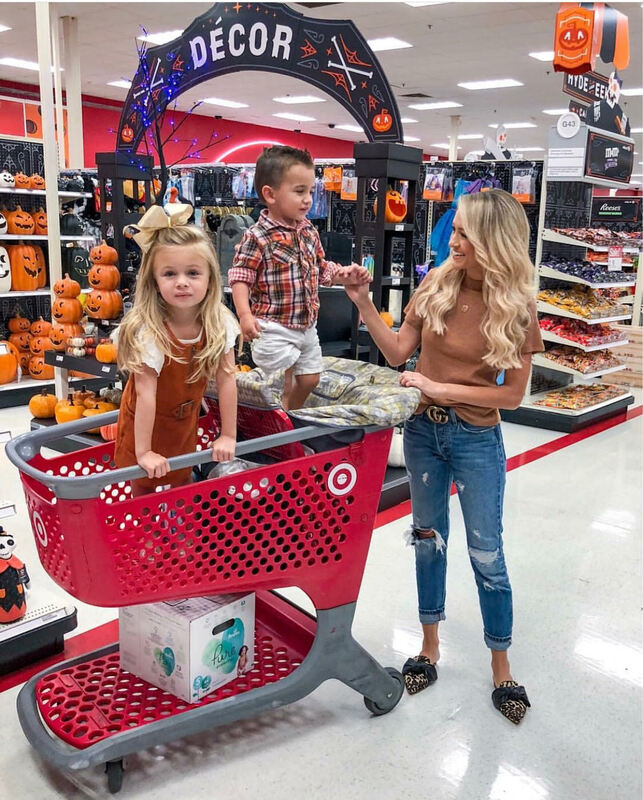 I Love to shop target overall for my family and I absolutely Love your blog posts and your feed!!! My favorite place to shop overall is Target! Here’s to hoping that we can wear all the super cute fall clothes soon...get yourself together Florida!! I love your leggings!!! My favorite store to shop is Nordstrom!! Nordstrom! I love my Joe’s Jeans and I’m definitely in need of a new pair. Just had baby #2 August 31st so I definitely need a little pick me up! lesleyud5@gmail.com I'm pregnant with my second little one due in November, and right now I'm loving Target for myself and little ones. Ooo this is a tough one! I like target for home decor, Nordstrom for clothes, and Amazon for family essentials! Love your stories! Perfect for this mama of two. 100% Lord and Taylor for clothes! There is one in Mizner Park, you need to check it out. This is a tough choice but it’s between Nordstrom and Sephora because two things I can’t have enough of are shoes and makeup!! How can a girl choose?!? I LOVE Nordstrom and your blog! I only go on insta to watch your stories lol. I LIVE for your outfits and your beautiful family! I would pick NORDSTROM!! Always the best selection! 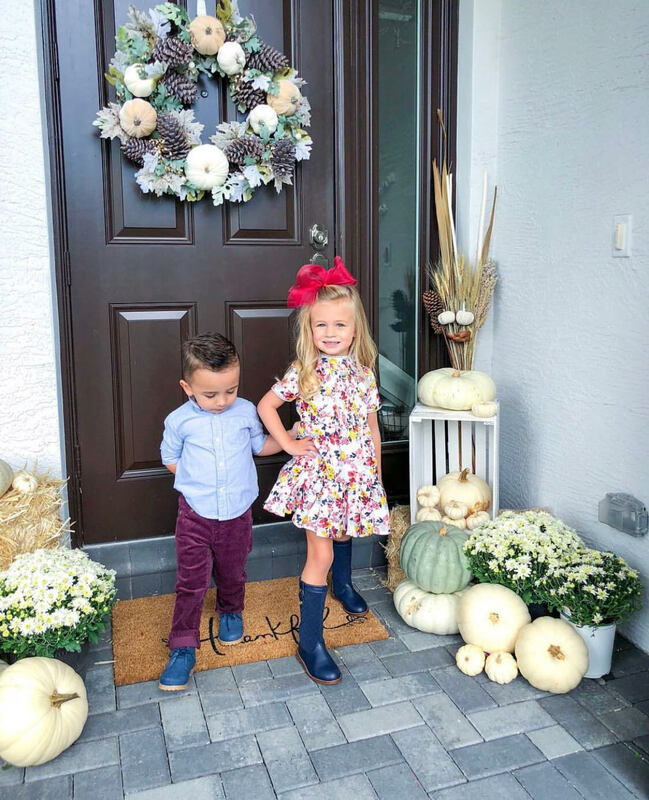 Love following along and get so many great ideas from your style and your kiddos! Hi Jade, I love to shop at Nordstrom - it’s my favorite store! Thank you for sharing all your cute clothes! My favorite store is Anthropologie!! 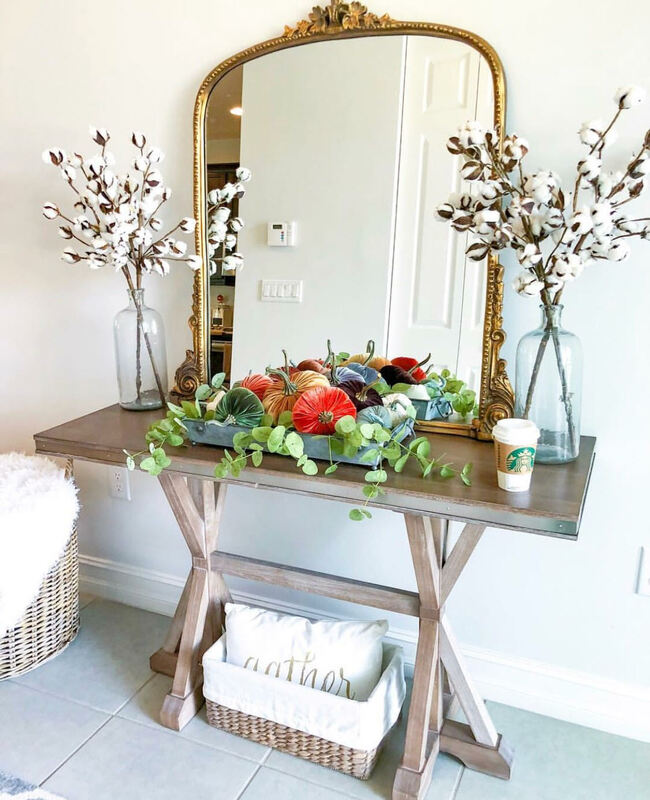 I love the mirror from your home post- so gorgeous!! I would pick American Eagle, I need some cozy lounge wear since my Son is due this month. Thank you so much for the chance. I love your style and content. I get so much inspiration from your posts and think you’re a great person and mother! I would pick American eagle for sure! Their sweaters and high waisted jeans have been on point this year! Hey Jade! I’ve been following you for awhile now & am completely obsessed with you & your little family! My favorite store is Dillard’s for clothes. I can’t get enough of Free People. Hope you have a blessed day! Hey Jade!!! First time mom to a 7 week old baby girl named Andi- I’ve loved the name Anderson for years and when we found out we were having a girl, I was so excited! Then while I was pregnant I stumbled across your IG and looove your style and sweet family! I could REALLY use some new clothes for my postpartum bod. Nordstrom gives me all the feels! My email address is jessica.wilson983@gmail.com. My favorite store is Target because we just had a new baby and it’s a great place to buy essentials. We also love their seasonal decorations! Hi Jade! 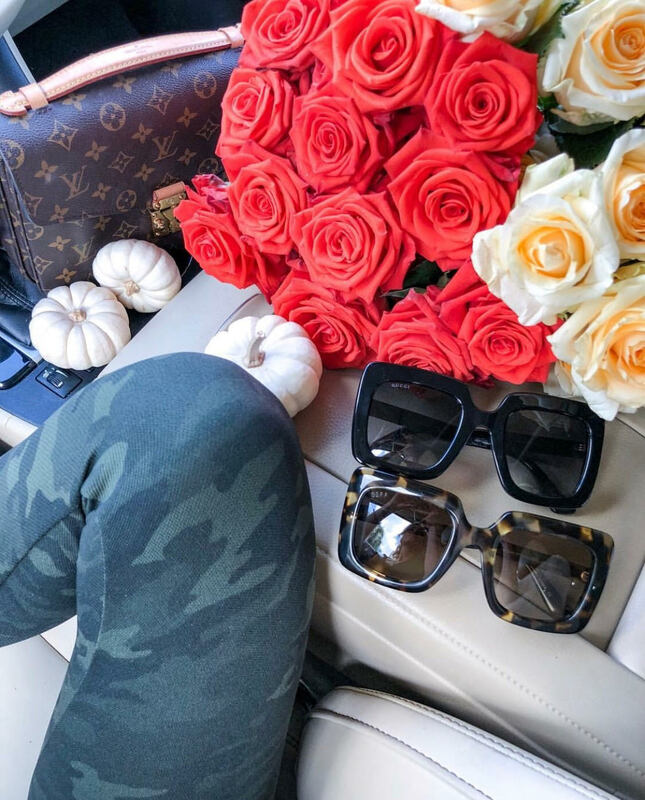 Loving all your fall inspo outfits. I’ve been following you since I was pregnant with my first girl and you were pregnant with Andi. It’s been so fun getting inspiration for myself and my daughter from you. My fav store is Nordstrom. I have a son named Lincoln too! I love watching what a great mom you are! I love anthropology and Nordstrom! Almahutchings@yahoo.com my favorite store to shop at is target ! Love the decor, shoes and kids stuff!! Love love love all the content that you share! My favorite place to shop is Nordstrom - it’s my go-to! Thanks for all that you do and all the time you spend sharing great finds with us. My favorite place to shop is Express! So many fun and cute options! I have been following you for years and I absolutely LOVE your style!! My name is Zaina and my email address is zainaabdalla8@gmail.com and my favorite place to shop at is Zara! Again, zainaabdalla8@gmail.com !! ❤️❤️ thank you so much Jade! Hi Jade! I love following you and the family! You have a great eye for fashion and design! I love to shop at Nordstrom or The Rack. I am graduating this December from college, so I would LOVE a Nordstrom gift card to get a dress for the big day! Love your content - it’s been so fun to follow along! Love love love this content!!! Favorite place to shop is Target or Forever 21, lol!! I have a couple go-to favorite stores: Nordstrom, H & M, Loft. Your posts are so beautiful and well thought out! I love that you’ve been more active on your blog these last couple months ✨ My favorite place to shop is Nordstrom.. they truly have it all! Love love love all of this! Would love to shop for it all!! And the kids stuff too!! 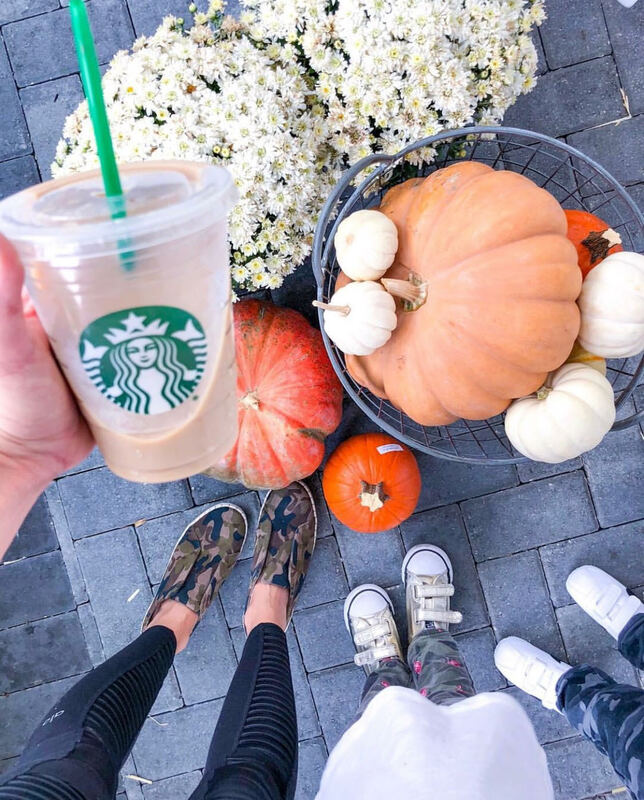 My favo places to shop are Nordstrom, J Crew, Target and LuLuLemon... since I wear that most days while chasing my toddlers! Love your real momlife stories and pics! Happy Fall! It is hard to choose just one store, but I love to shop at H&M. (Nordstrom, Express, and Charming Charlies are some of my go to stores as well when Im looking into new outfits). Thank you for all your post you do, even though there is always one bad apple. I listen to your story on IG daily. Hey!! I absolutely love keeping up with you and your family! My favorite stores to shop at currently are Target and Amazon(does that count) haha. We have a baby on the way and its the quickest and sometimes the cheapest places to find the essentials. 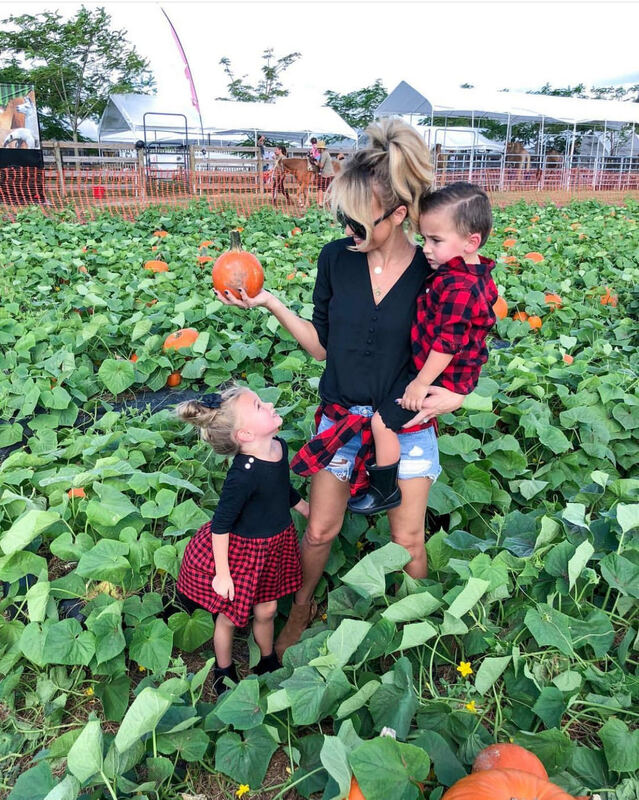 I’ve been following since you were pregnant with Andi and it’s so fun to watch your kids grow, especially now that I have two kids of my own! We would love a gift card to Target! I love fall!! I love Nordstrom and wish I had one closer to me!!! 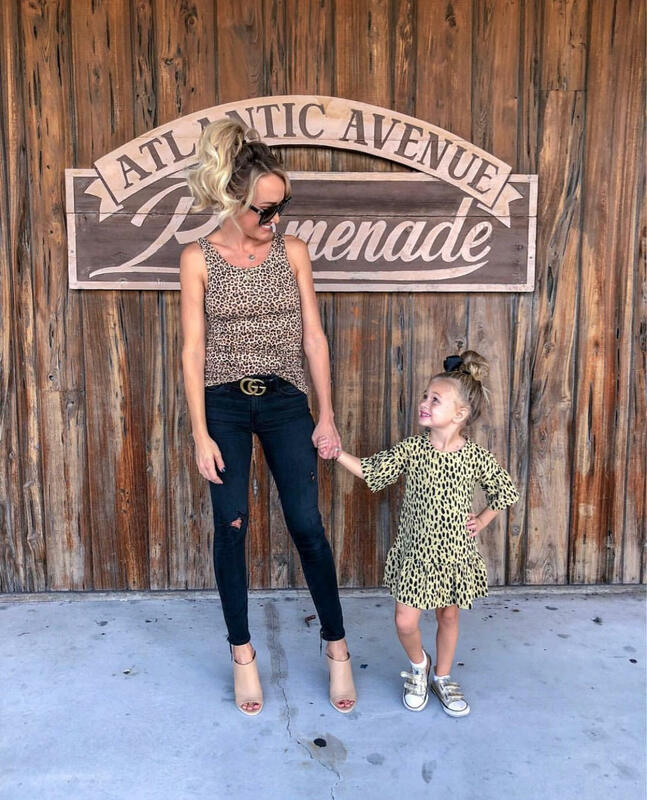 I enjoy following you on Instagram and your blog, you’ve got such great style and an adorable family! My favorite store is Ambercrombie. Lovvve your blog Iv been following you for about 3 years now. I love shopping at Nordstrom’s, I can find exactly what I need for me and my family clothing/Home wise. It’s my one stop shop when it comes to these items! 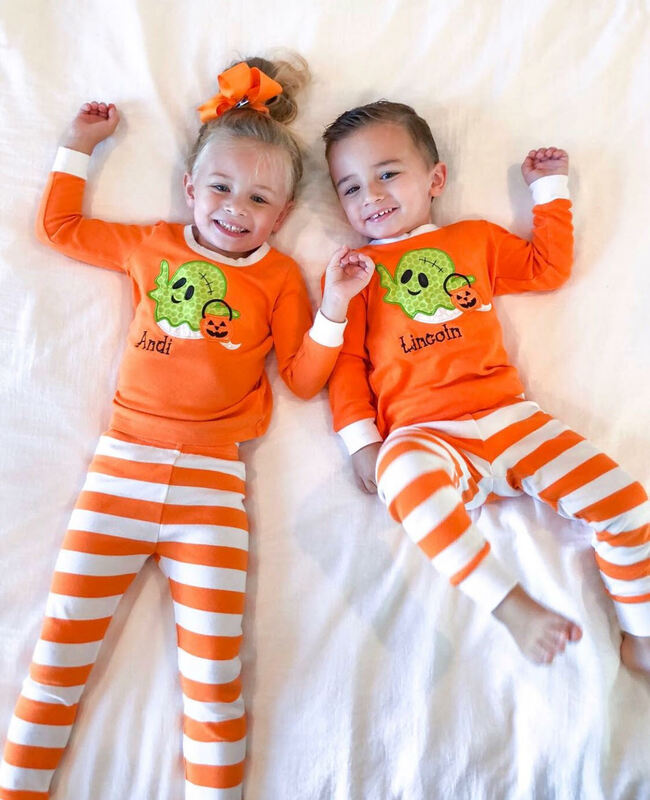 Love your blog and seeing both yours and your kids’ outfits! They are the cutest! My favorite store is Nordstrom and my email is jmcgee2586@yahoo.com. My favorite store is Nordstrom! Love following you! I just got the Spanx camo leggings and I love them so much! My favorite store is definitely Nordstron. I love the free shipping and free returns. My favorite store is Target! I love your blog and you post really cute feed!! My favorite store to shop is Nordstrom! Nordy girl through and through! I love following you and your adorable little family! You are a GREAT mom, don’t ever listen to anything different! “Sometimes people throw rocks at things that shine” Keep being YOU! Shopbop all the way! Amazing curation of brands, and can't beat the shipping/return policy! Love following you! one of my top fav bloggers! katelinhuppe2@gmail.com My favorite store by far is J Crew. I used to work there and would get to see all the clothes before anyone else and it was fantastic. Kellie.Ott@gmail.com My favorite store is definitely Target! I love your style! You seriously have the best taste and are one of my favorite people to follow. My email is elise803@gmail.com and I love to shop at Sephora ��. Definitely Nordstrom, they have such cute finds and make shopping and returns so easy. Thanks for doing the giveaway! I really enjoy your insta stories and have purchased some of the items you tag! Mill2824@gmail.com. I would have to say Target! 🎯 You can never leave there without a cart full of stuff! Love following your family! JCrew or JCrew Factory is my jam! I find myself in one of their stores at least one a week. Ha! Good Ol Nordstrom! One stop shopping for the whole family plus beauty as well! Hi!!! I’m a recent follower of your blog and I absolutely love your style!! You’re making me want to get into blogging myself! I feel like as I’m getting a little older (I’m only 26), I’m slowly coming into my favorite styles and I pay so much more attention to what I wear now. So your blog is really helpful and gives me so many cute and fun ideas!! Obvi Nordstrom is one of my favorites, but I’m also a big fan of Loft! So many cute sweaters as we come into the Fall season!! Nordstrom... always Nordstrom. I love their customer service and it keeps me coming back for more. Rachelmsample@gmail.com <3 Thanks Jade! I would definitely say American eagle! So much cute stuff right now! My email is acreeves22@yahoo.com ❤️ Love following along with your sweet family! I love your blog and your taste in clothes as well as home decor. You have also inspired me to dress my son in more stylish clothing!! I love shopping at Nordstrom and target!! Nordstrom when I want to splurge on something for myself and target always for the family! Love ur Instagram feed! My favorite store is Nordstrom! You are seriously so amazing I LOVE your insta! Love your blog/instagram! Rcrolfe@me.com is my e-mail. And I love Nordstrom!